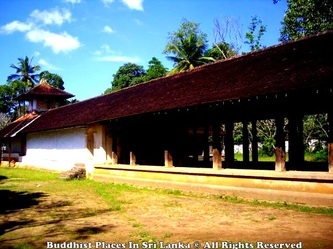 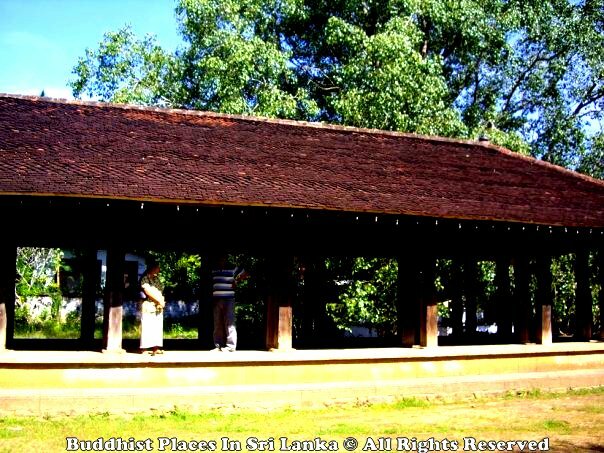 Embekka Devalaya (Embekka Temple) was built by the King Vikramabahu III of Gampola Era (AD 1357 - 1374) in Sri Lanka. 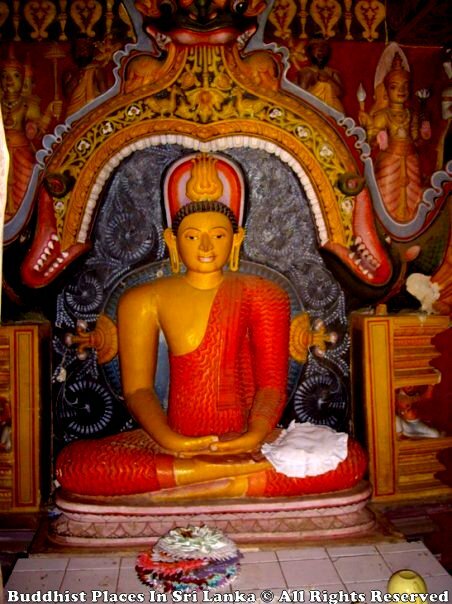 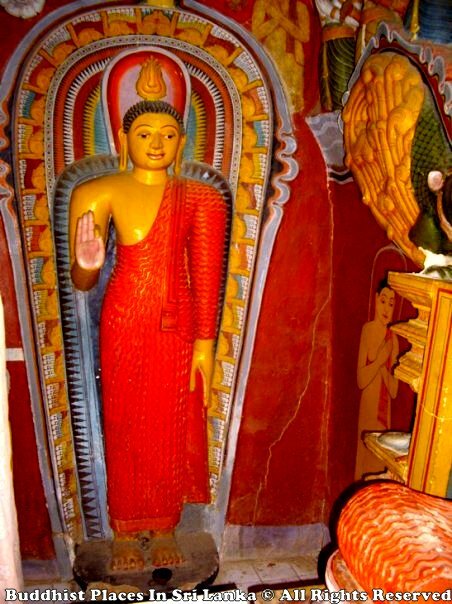 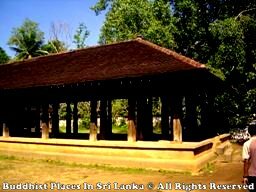 The Devalaya in Embekka is dedicated to the worship of Mahasen, popularly known as Katharagama Deviyo. 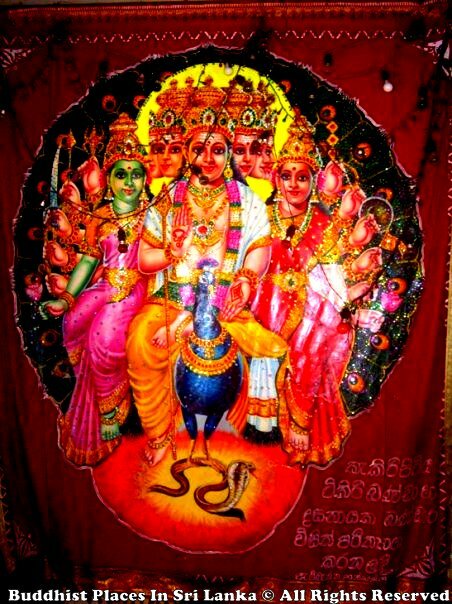 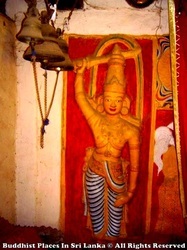 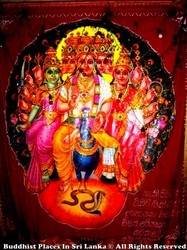 A local deity called Devatha Bandara is also worshiped at this site. 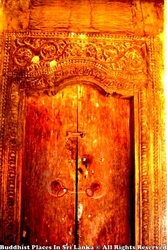 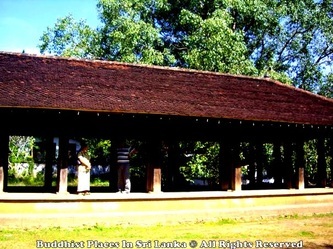 The shrine consists of three sections, the "Sanctum of Garagha", the "Digge" or "Dancing Hall" and the "Hevisi Mandapaya" or the "Drummers' Hall". The Drummers' Hall that has drawn the attention of visitors to the site, due to the splendid wood carvings of its ornate pillars and its high pitched roof. 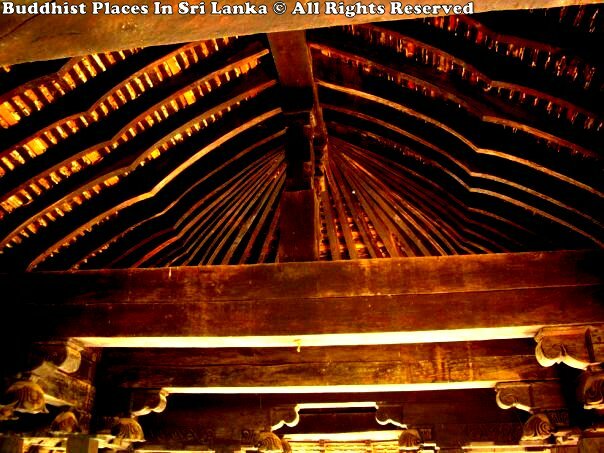 It is said that some of the wood work utilized for the "Drummers' Hall" came from an abandoned "Royal Audience Hall" at Gampola. 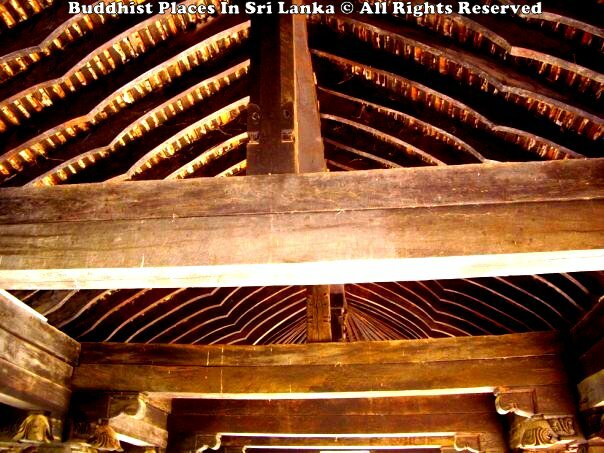 There is every possibility the hall has seen repairs during the reigns of the Sinhalese Kings of Kandy. 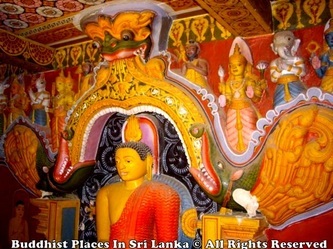 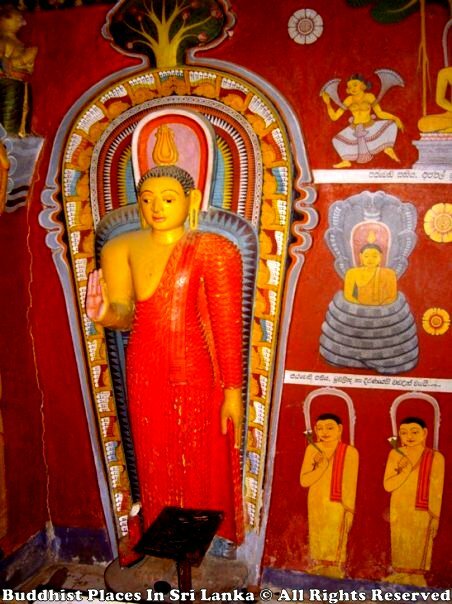 The carvings, which adorn the wooden pillars of the drummers' hall, as well as the "Vahalkada" (the entrance porch of the devala, which is said to be older) are some of the best examples of Sinhalese art. The roof itself has significant features. The rafters all slant from above towards the incoming visitor are fixed together and kept in position by a "Madol Kurupawa", a kind of a giant catch pin the like of which we do not find elsewhere. 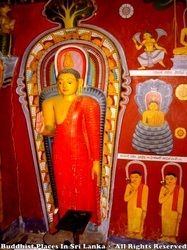 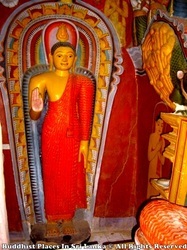 Embekka Devalaya is situated in Medapalata Korale of Udunuwara in Kandy district. 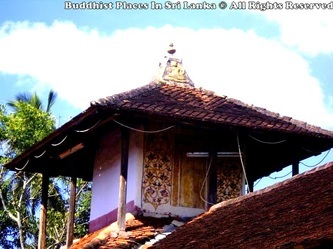 The easiest way to get to Embekka is coming from Colombo - Kandy main road at Pilimathalawa. There is a clear sign post hosted by the Archaeological Department of Sri Lanka at the start of the road to Embekka. 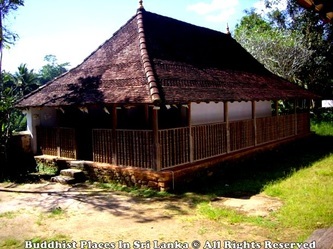 It is about 7 – 8 km (5.0 mi) from Pilimathalawa to Embekka from the Colombo - Kandy main road. On the Daulagala road proceed about a mile and you will come to the Gadaladeniya junction, which you can see the famous Gadaladeniya Viharaya right at the junction. Both roads from the junction would take you to Embekka. 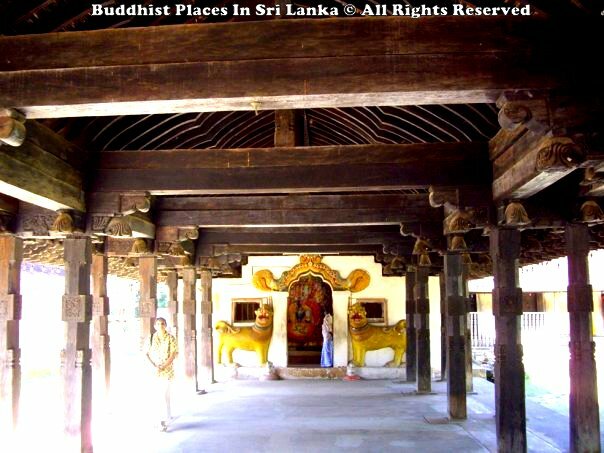 The shortest would be the one to the right, but if you wish to see the Lankathilaka Viharaya you should take the road to the left. 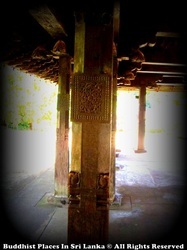 If you take the road to the left you can see the Embekka Ambalama  just before you arrive at the Embekka Devalaya.